and still get mediocre grades. and end up with As on any exam. How does this happen? Is it fair at all? We have interviewed a dozen A-level students who always manage to spend just a little time on learning. Their tips prove that there are specific hacks that anyone can follow to boost their studying efficiency and improve their time management skills. So let’s go deeper into the matter and see what students who are tired of studying and getting less than they deserve can do to change their disappointing situation. Why do your studies take so much time? A great starting point is to analyze your studying pattern to see what mistakes you usually make while learning. No planning, no schedule, and no priorities. Some students prefer to focus on random assignments depending on what they WANT to do rather than what they NEED to do. Leaving everything to the last minute and then cramming. This strategy has proved to be not effective at all. You may pass your exam, but you'll quickly forget what you've learned after you’re done. Having too many distractions while studying. Gadgets, TV, music, loud family members, etc.—all these factors will keep you from progressing too much. Trying to remember everything without taking any notes. Rely on your brain wisely. It can process and store a lot of information, BUT you have to fill it in gradually and leave some written notes, just to refresh it later. Unhealthy lifestyle. Being sleepy, not exercising, and eating junk food are harmful to your body and your studies. 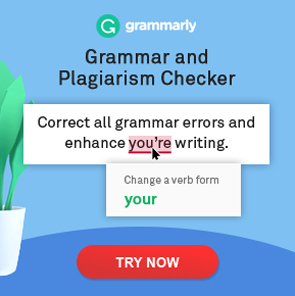 There are many more mistakes that students make, of course. So make a list of your own and start improving. Meanwhile, our 12 tips will help you get on your way. The number-one secret to effective studying is to plan out all the things that have to be done and learned, and then schedule them accordingly. Spend some time learning more about time-management skills, and it will completely change your approach to your studies. We all know the saying, “Nothing makes a person more productive than the last minute," but not in our case… If you plan everything for the last minute, you risk losing time and ending up with a low-quality assignment. And no time left to set it right. Still wondering how to study smart? Just think, plan, and act in advance. If you want to make the most of your studying time, you first need to identify the time when your mind is ready to interact and perform at its best. Most people can think, memorize, and produce their freshest thoughts after a night of good, sound sleep. Your body feels rested and can offer you its highest working capacity. But the exact time of day that’s optimal can vary from one person to another. Some people feel too sleepy after a full night's sleep, and all they can do is to yawn and make themselves a cup of coffee. Hopefully, your best performance time is not during the night. Otherwise, you’d have trouble combining your day and night studies. Remember that you also need 6-8 hours to sleep to stay healthy! Trying to concentrate at home, where it’s always noisy and loud, can be a super-complicated task. You will hardly have high performance in a place with so many potential distractions. In this case, we’d recommend that you look for a quieter place to study. Why not go to a good old library? Or maybe your local internet café? You'll find some more excellent suggestions here. Note-taking is something that you can’t do without if you want to learn how to study faster. You might try to object, thinking that taking notes takes too much time. It’s true that you’ll spend some time on taking the notes, but then again, you’ll save way more time when studying at home and preparing for the exam. You’ll have all the necessary data and references collected in one place. You'll recall the critical information taught during your lessons (something that you might not find in books). You’ll memorize faster when you write the information out—writing works much better for your memory than typing! You’ll immediately refresh your memory on all the key points that you’ll need for your test. In fact, the note-taking method ends up being one of the best studying methods for those who wonder how to study for a test fast. Incredible as it may seem, taking regular breaks during your studies will save you time. The secret is giving enough of a break to your brain to increase its performance. Don’t sit still for hours. Instead, get up every 30-60 minutes, remembering to stretch your legs and hands. This way you'll avoid stiffness and muscle cramps. You may even choose to do some more vigorous exercises to launch your metabolism and make you feel more energized. By moving your body, you’ll also improve your concentration, memory, and creativity. Organize your ideas into maps, clouds, diagrams, charts, tables, etc. to make your facts visual and more memorable. This approach is sure to boost your performance and save some time, especially if you’re a visual person. You can take this method one step further and use mind map tools online, like Popplet or Spiderscribe, where you’ll be able to collaborate with your classmates, brainstorm thoughts, exchange ideas, and share your maps. Don’t you think this would save tons of your time while studying? Online tools are not only fun, but they can also serve different purposes and increase your productivity. Make sure to read more details about 36 Best Websites for Full-Fledged Learning. Have you ever noticed that focusing on just one particular subject each day is not as useful as studying a couple of them each day? If you have to prepare for exams in literature, chemistry, math, and law, it will work better if you study each subject a little bit every day. Focusing on only writing on Monday, chemistry on Tuesday, math on Wednesday, or law on Thursday might make you feel overwhelmed with the sheer volume of information on each subject. You’ll learn much faster and retain that knowledge better if you spend, let’s say, one hour on each subject every day. This way, your brain will have more time to process and absorb the new material. Unless you want to become less productive and more distracted, don’t multitask in anything you do. Your studies will take less time if you focus only on what you’re currently learning. Want some basic tips on how to improve concentration and how to study fast for exams? Organize your study area and clear any clutter on your desk. Prepare everything you’ll need for your studies before starting. Put your gadgets away or switch them to airplane mode. Log out of all your messengers. Use apps to boost your productivity. When you study, you shouldn't concentrate on the mark you're going to get. Focus on the process instead. Learn to enjoy it, and high grades will automatically come to you. All the students we interviewed have one more habit in common: they set learning goals, not performance goals. Performance goals (e.g., getting an A on the next chemistry test) are set by students who want to look smart and prove themselves to others. Learning goals (e.g., learning ten new Spanish words a day) are set by those who want to develop their skills and master the subject. This approach is also crucial for those who want to know how to study effectively. Learning by heart is one of the standard mistakes that many students make. This method ends up being incredibly time-consuming and involves primarily your short-term memory retention. Your understanding and ability to draw conclusions are the skills you have to develop and demonstrate to your professors. Focus your attention on understanding what you’re learning and analyzing it critically. Create associations between concepts. Our brain learns by making connections between new information and what has already been learned. As soon as you discover some similarities between your new topic and some concepts that you already comprehend, you'll quickly come to understand the subject matter. Imagine the data you’re learning vividly. Think visually; direct a movie in your mind to help you memorize the facts faster. For example, it’s difficult to remember numbers alone, so instead you should associate each one with a picture and create a short narrative using them. Our minds like stories and retain them for a more extended period than plain figures, facts, etc. Pay attention to regular patterns within the new topic. If you notice patterns and monitor their frequency, you'll easily comprehend the whole framework of the subject matter. If your brain works more quickly and efficiently, you are sure to save plenty of time while studying. The good news is that you can exercise your mental muscles just like you do the rest of your body! Use Sudoku to improve your problem-solving abilities. You might even find this puzzle game somewhat addictive after you try once. Buy this game on paper or find it free online. Practice math daily. Create a Mad Math Minute worksheet or use printable worksheets. Give yourself 1-5 minutes to solve as many problems as you can. This exercise will keep your brain in good shape. And you won’t need your calculator as frequently as before. Learn something new every day. Spend at least 30 minutes a day reading a newspaper or a book. Another way is to use Wikipedia. Just choose any random article, enrich your knowledge, and keep your brain healthy. Pretend that you’re teaching. The trick is that when you teach, you always want your students to understand the concept and know how to do it the right way. So, if you imagine that you’re teaching, you’re more likely to avoid mistakes and do it in the best possible way. Visit specialized brain-training websites or apps regularly. For example, a cool site like Lumosity lets you decide what exactly you want to train (attention, speed, memory, problem-solving, or flexibility), and then it gives you corresponding exercises that are both easy to understand and interesting to play. Afterward, you get your rating for that skill. You aim to improve your results as you practice. You should remember that the way you have aligned your learning process can make or break your success at college or university. A “studying smart” approach will save you a great amount of time that you would otherwise lose if you study "hard" instead. The whole studying process comes down to your "focus." To improve your focus and learn faster, you need to choose the right approach that will allow you to comprehend the essence of the subject matter and then immediately connect it with any newly encountered concepts. First, you need to critically analyze your current learning approach and see what is consuming too much time. Then follow our proven tips to increase your performance and decrease the time you spend on your studies. We believe in you: you can do it!